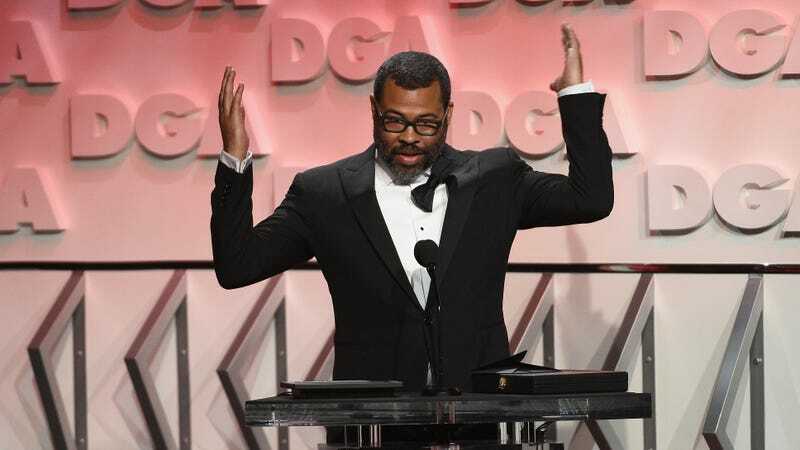 Lately, Jordan Peele has taken a step back from the fun comedy acting roles we originally knew him for in favor of making wildly successful and award-winning films—or at least a single wildly successful and award-winning film, since Get Out just came out last year. This weekend, while accepting the Best First-Time Feature Film Directing award from the Directors Guild Of America, Peele pinned some of the blame for that on one thing: The Emoji Movie. Peele also talked about the importance of telling stories that can combat “the hate and the bigotry and all the evil policies that are being pushed into action.” Apparently, The Emoji Movie isn’t one of those stories.